Kenyon Lee Martin, nicknamed “K-Mart”, is an American former professional basketball player who played 15 seasons in the National Basketball Association (NBA). The 6'9" power forward played college basketball for Cincinnati before being drafted as the first overall pick in the 2000 NBA draft by the New Jersey Nets. K-Mart’s NBA career would involve playing for the New Jersey Nets, Denver Nuggets, Los Angeles Clippers, New York Knicks and Milwaukee Bucks; being named to the 2001 NBA All-Rookie First Team and the 2004 NBA All-Star Team; and a contribution to the International Basketball Federation in 2011 as part of the Xinjiang Flying Tigers of China. In 2016, K-Mart would officially retire from the NBA. As a favored NBA analyst for ESPN and Fox Sports, Kenyon has become an all-around athlete and professional; however, his on-court passion has not ended as Kenyon would be the first player to join Ice Cube’s Big 3 Basketball League as Player/Captain of Trilogy; Trilogy would go on to be the league's inaugural champions. Martin’s legacy goes beyond his successful career in professional sports to varied philanthropic endeavors that realize the need for positive role models, and addresses the importance of giving today’s youth the opportunity to do what they love. 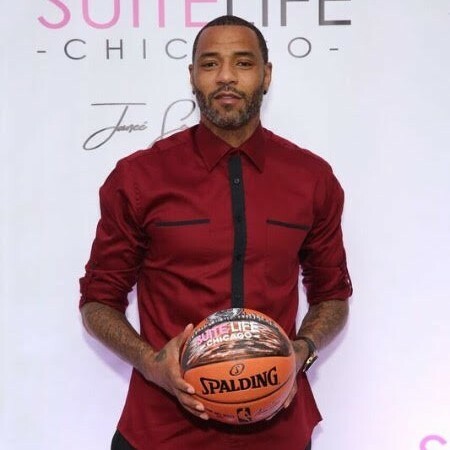 The Kenyon Martin Foundation was founded and built on this same principle and has provided support and career guidance to teenagers who become parents; families without father figures; and provides life-changing opportunities to underserved youth to realize their unlimited potential. As a personal achievement, Martin actively supports The Stuttering Foundation of America and is a recipient of the Freeing Voices Changing Lives Leadership Award from the American Institute for Stuttering which he also served on the board of directors. Martin also served as a honorary Ambassador for the March of Dimes Colorado Chapter which focused on raising awareness about premature births. Martin’s goal is to do what he can to create change and to let it be known that no matter where you come from, you can always succeed.